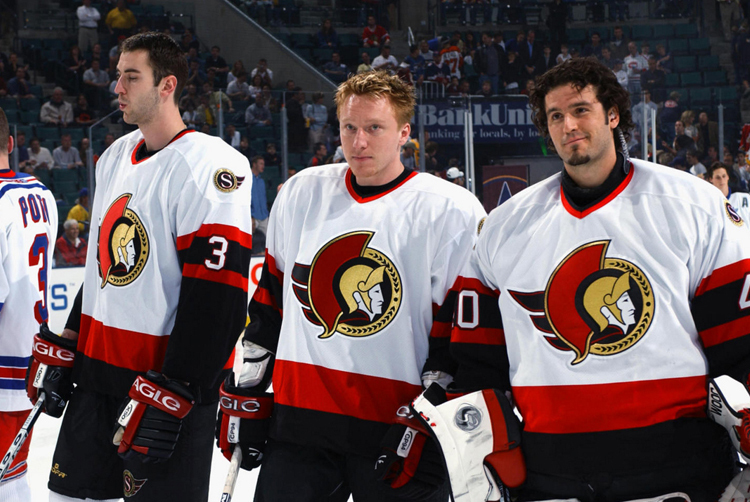 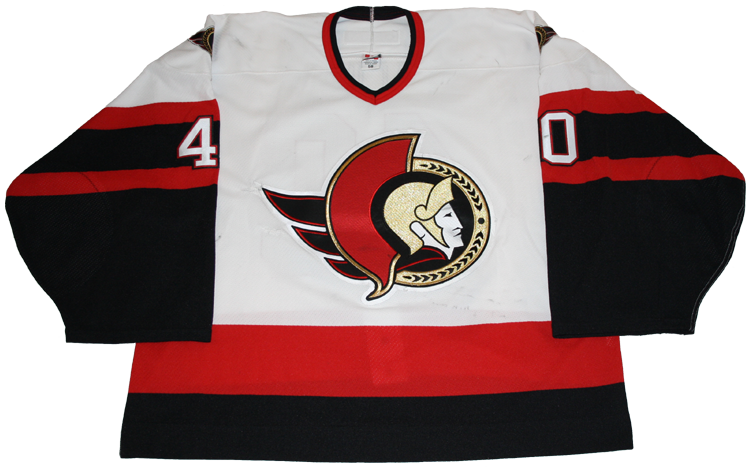 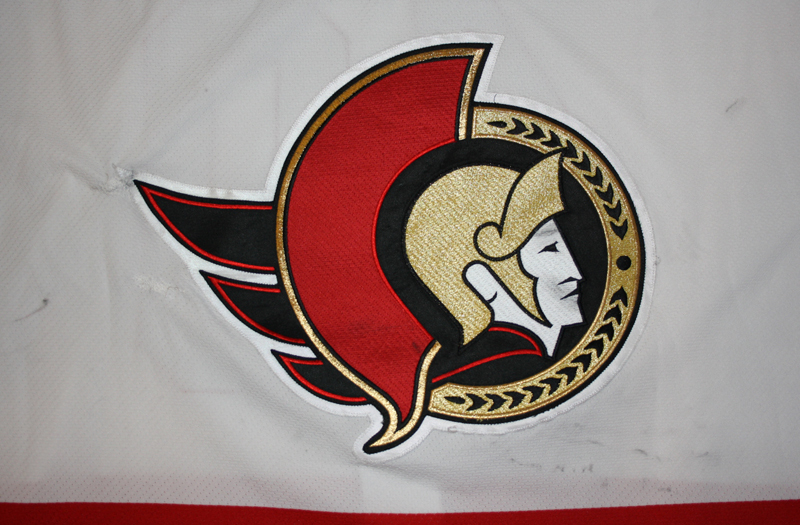 This jersey was worn by Patrick Lalime of the Ottawa Senators during the 2002-03 season. 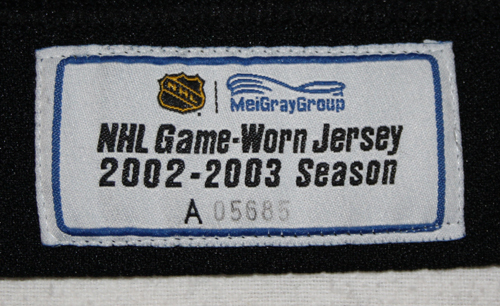 Lalime played in 15 games while wearing this jersey, from December 16, 2002 to March 4, 2003. 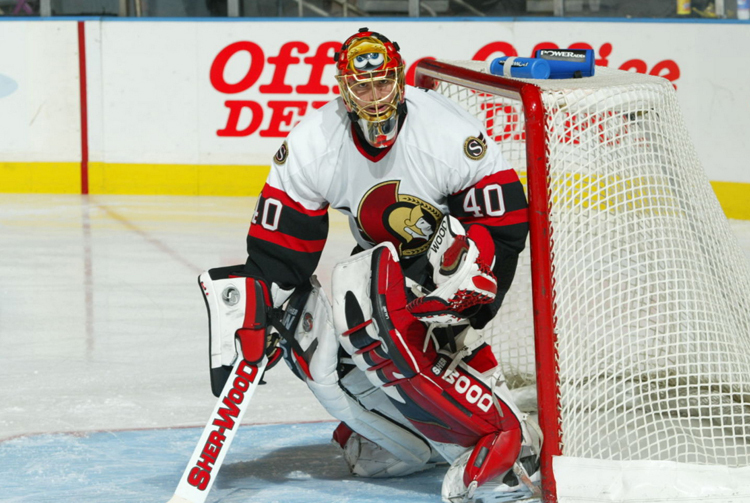 Lalime complied a 10-4 record during this time and recorded 3 shutouts. 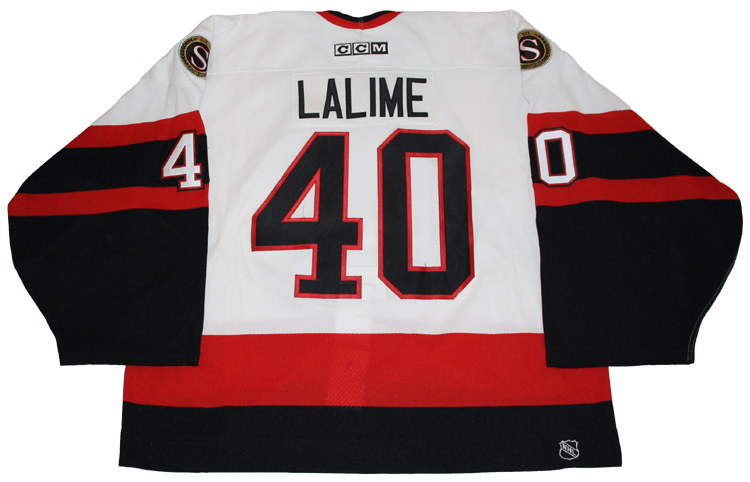 This jersey was also worn during the skills competition for the 2003 NHL All-Star Game in Atlanta, Lalime's only NHL all-star game appearance.